now. When responding to emergencies, seconds count. But so does safetyfor first responders and the public. Every call is a balancing act to get to the scene as quickly as possible without endangering lives and property. Its a tough job. Studies have shown that emergency vehicle drivers experience the exact same physiological responseselevated heart rate, blood pressure, and adrenaline levelsas combat fighter pilots. And according to the National Fire Protection Institute, in 2003 more firefighters lost their lives in vehicle accidents than in fighting fires. One of the most dangerous aspects of driving an emergency vehicle is crossing an intersection against a red light. 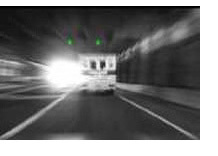 Priority Command preempts traffic signals automatically giving more green lights to emergency vehicles. 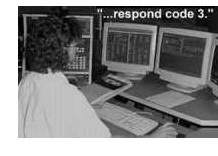 Responders can get to the scene faster, more safely, and with less stress so they are better able to perform their duties. 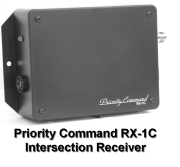 Priority Command uses proven, reliable 900 MHz digital spread spectrum data radio to transmit a vehicle's GPS coordinatesincluding location, speed, and headingalong with its ID, priority level, and secure authorization code to a receiver connected to an intersection signal controller. In a fraction of a second the intersection receiver authenticates the signal, evaluates its priority level, determines the vehicle's direction of approach, and calculates the optimum distance at which to issue a preemption command to the traffic signal controller. The Priority Command vehicle transmitter installs easily in any emergency vehicle using standard mobile radio mounting hardware. It is activated automatically whenever the vehicle's lightbar is on. The driver may also turn the transmitter on or off at any time using the Override On/Off switch. This allows, for example, police to respond to silent alarms or for ambulances to transport stabilized patients expeditiously through residential neighborhoods at night without having to use their lightbars. Another switch allows the driver to select Priority Command's exclusive extended-range four-way-red preemption. When this switch is activated, it tells the intersection receiver to extend the preemption distance by 50% and to turn the traffic signals to red in all directions. This allows an energency vehicle to pass a line of backed-up traffic by crossing over into the oncoming lane. An additional application of this feature is for police officers involved in high-speed pursuits. In this scenario, four-way-red preemption serves two important functions: it impedes the path of the fleeing criminal with red lights and backed-up traffic in every direction, while at the same time, it protects the public by clearing intersections in the vicinity of the chase. The Priority Command cabinet-mount intersection receiver installs in the traffic cabinet and connects to the preemption inputs on the computer signal controller. (An all-weather outdoor version is also available.) It uses a powerful microprocessor and innovative software to track approaching vehicles and issue preemption commands to the traffic signal controller. With its standard programming it can be configured quickly and easily to control regular north-south, east-west intersections of any size, any speed limit, and any yellow light time. With modified programming it can control diagonal, five-way, and other oddly configured intersections. It can also discriminate between vehicles on surface streets and overpasses. The Priority Command intersection receiver provides four levels of high-priority preemption for emergency vehicles and two levels of low-priority preemption for nonemergency vehicles such as transit busses and snow plows. It can also perform "around-the-corner" preemption so that turning vehicles can initiate a preemption for the next intersection before they turn the corner. Priority Command provides the best value for performance, features, and price on the market today. Priority Command sets a new standard for accurate, predictable performance. 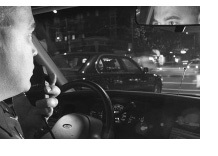 Priority Command is designed with emergency vehicle drivers in mind. Priority Command is built tough for the real world. Priority Command can only be used by officially authorized vehicles. 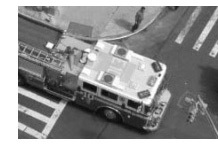 With Priority Command cities can now afford preemption for every emergency vehicle and every controlled intersection. Now more than ever, governments are being called upon to protect the public from an increasingly wider array of threats. However, limited resources must be spent wisely to provide the greatest possible benefit. If you believe your emergency services would benefit from faster response times and reduced accident rates, contact us today. When seconds count, your path is clear.